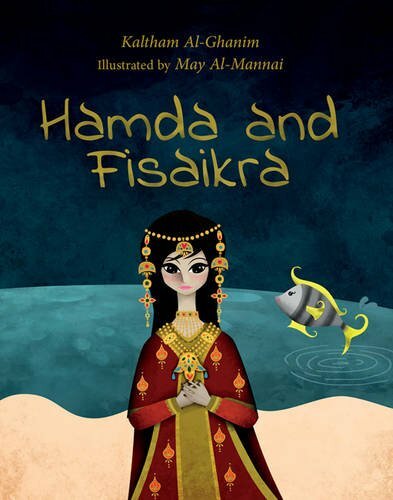 A variant of the Cinderella story, Hamda and Fisaikra is the version known in the Arabian Gulf. Hamda’s father, a fisherman, sets out in his boat each day to cast his net. At the end of the day Hamda waits for him on the shore and helps to carry the fish to the house. Hamda’s mother died when she was young and she now has an unkind stepmother and two stepsisters. In this, her first children’s book, Kaltham Al-Ghanim’s interest in folklore is evident in the cadences of her engaging narrative which is full of the rich detail (the Tanoor oven, henna decorations, clothing and food) of life in the Arabian Gulf. This is also illustrator May Al-Mannai’s first book and her stylised, richly patterned illustrations which incorporate collage make confident use of the page. A beautiful production. Also available in Arabic.